Your choice of bagel with butter or jelly. Egg and cheese on your choice of bagel. Add bacon, ham, sausage, pork roll, or turkey bacon for +$1.25. Avocado, sprouts, tomato, onion, cucumbers, capers, and pickles with your choice of cream cheese, hummus, or sliced cheese. Lox, cream cheese, capers, tomatoes, and red onion. Choose center-cut lox for +$2.00. Baker’s choice of 6 or 12 bagels. 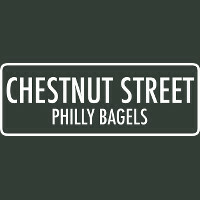 Your choice of bagel with plain cream cheese. Your choice of turkey or ham on a bagel with bacon, lettuce, and tomatoes. Your choice of egg salad, tuna salad, or chicken salad on a bagel with bacon, lettuce, and tomatoes. House made chicken salad, egg salad or tuna salad on a bagel. Smoked whitefish salad, cream cheese, capers, tomatoes, and red onion. Smoked baked salmon or whitefish salad on a bagel. Local peanut butter with your choice of strawberry or grape jelly. OG bananas, local honey, and nutella. Prosciutto, mozzarella, basil, tomatoes, and balsamic vinegar. Turkey, avocado, pepper jack cheese, and sprouts. Homemade BBQ infused baked salmon, cheddar horseradish cream cheese, bacon, lettuce, and tomato. Your choice of bagel with Brooklyn smoked grav lox, cream cheese, onions, and our secret dill sauce. Spicy artichoke cream cheese, goat cheese, lettuce, tomatoes, and our signature chicken salad. Your choice of 1oz or 8oz plain cream cheese. 8 ounces of your favorite spreads. Choose from hummus, tuna salad, chicken salad, whitefish, or egg salad. Your choice of 1 oz or 8 oz side of low fat plain cream cheese.